Are you itching to play those 2D games that were once your favorites when you were a child? Here’s something that you’d feel nostalgic about – the Secret Maryo Chronicles. Although it might sound like a rip-off from Super Mario Brothers, you’d find it very entertaining. All the similarities to Mario make the game a pleasant journey to your childhood, but the additional features make it a fresh experience. From collecting mushrooms to stepping on top of enemies’ heads, you’re sure to enjoy this game whether you are 13 or 30. 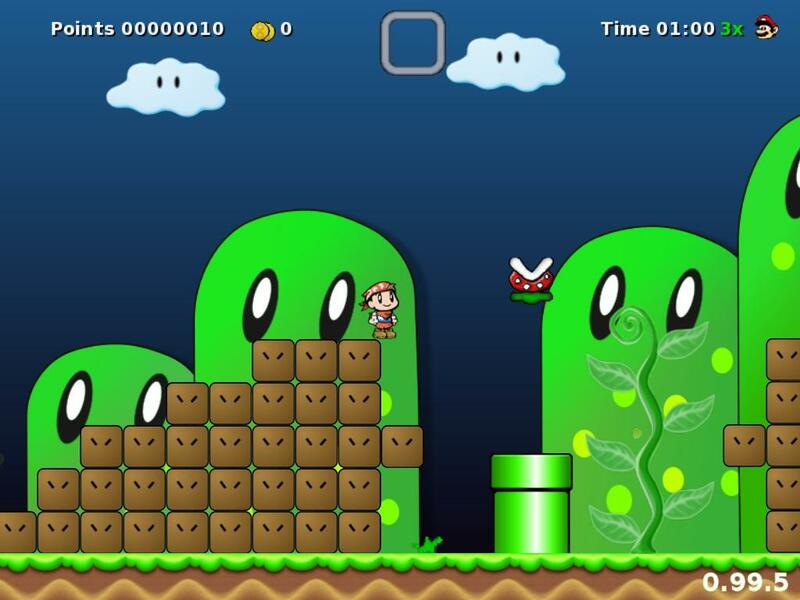 Secret Maryo Chronicles is an open-source game which is available for almost all platforms – Windows, Linux, Mac OSX and a whole lot more. Background music is optional, and can be downloaded separately from the game files. A cool thing about Secret Maryo Chronicles is the built-in world editor where you can use just about any graphic file as a background and as a sprite in the game. So if you want your brother’s picture as your enemy, just import the graphic and voila – step on his picture as you run along the world of Secret Maryo Chronicles. Unlike Super Mario, Secret Maryo Chronicles enables saving and loading of your games, so you can play now, take a break, and resume it later. Likewise, there are many levels where you can explore from pipes to gates. You can even find power-ups, or collect 100 coins for another life. The only thing I don’t like about this game is that it can make you dizzy whenever you are too focused to it. With all the jumps and the moving backgrounds, your eyes can easily be strained. However, you’ll get used to it…just like any other games. Secret Maryo Chronicles will surely be enjoyed by your little brother, or that little kid inside you.